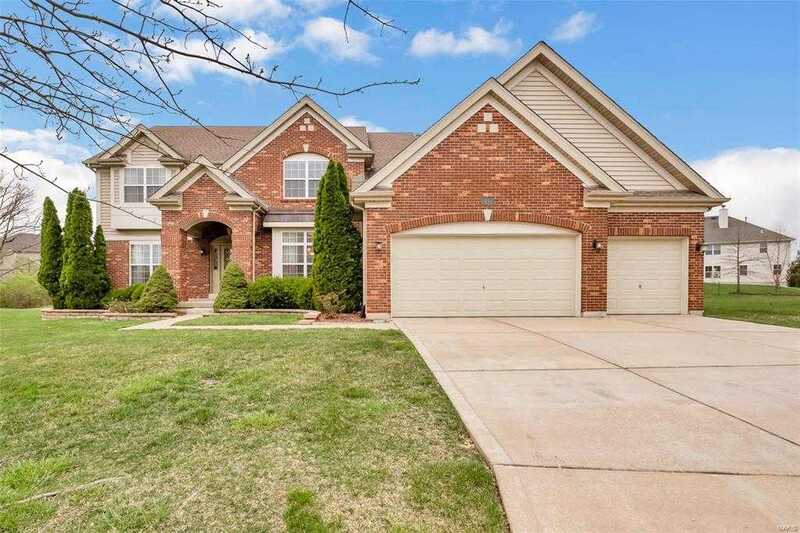 Move-In Ready 1.5 Story dream home in the sought after Enclaves At Cherry Hills! Master Bedroom Suite and 2nd Bedroom on the main floor. The three (3) spacious upper level bedrooms surround the HUGE Recreation/Entertainment/Family Room. You’ll love the custom kitchen which features: Granite Counters; Double Wall Ovens; 42 Cabinets; Breakfast Area; Smooth Cooktop, Stainless Appliances. Just off the kitchen is the hearth room with vaulted ceilings, hardwood floors, and built in entertainment area. The rest of the main floor is open and welcoming – including the gas fireplace in the family room. Want more space? Head to the partially finished lower level with bonus room. The unfinished portion of the lower level offers tons of storage and additional potential living space. The systems are newer. Zoned heating and air conditioning.